Our goal is to make completing your continuing education requirements as easy and convenient as possible. Since 1987, our mission has been to provide quality nursing continuing education courses. 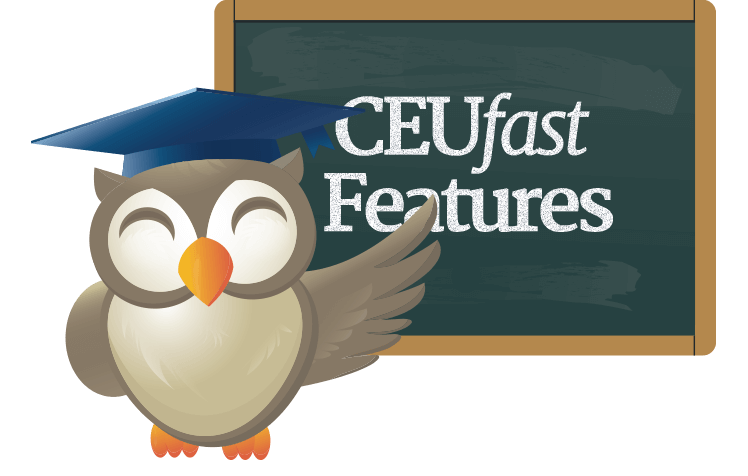 In 2002 we developed CEUfast.com and became one of the first CE providers to offer full courses, testing and certificates online. Since our launch, over 200,000 healthcare professionals have used CEUfast making us one of the leading online CE providers. 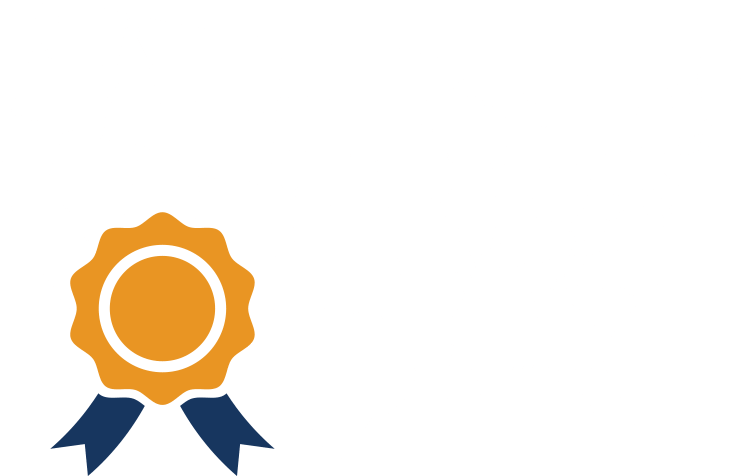 CEUfast nursing contact hours are accepted by virtually every state. Our courses can also be used by a variety of other healthcare professionals. CEUfast, Inc. is accredited as a provider of continuing nursing education by the American Nurses Credentialing Center's COA. CEUfast.com is an approved provider for the California Board of Registered Nursing, #CEP 13509, the Florida Board of Nursing and the Washington DC Board of Nursing #50-353. Donna Thomas, RN, MSN, BSHEdDonna Thomas, RN, MSN, BSHEd, a hospital supervisor with over 37 years of teaching experience, coordinates ACLS, BCLS, AIDS/HIV, Disaster Planning, Leadership, Management, Critical Care classes, former Medical Explorer Leader/Advisor for High School Students and former Water Safety Instructor Trainer for the American Red Cross. Arlene Davis, RN, MSN, AOCN Arlene Davis, RN, MSN, AOCN is currently the Oncology Clinical Specialist at the VA Medical Center in Gainesville, Florida. She has advanced certification in oncology nursing and has been working with cancer patients since 1990. Berthina Coleman MD, BSN, RNDr. Coleman graduated nursing school 10 years ago and has worked in several disciplines including Critical Care, Dialysis, Surgery and Long term care & Rehab. In the interim, she went on to pursue further education graduating with a Medical Degree (M.D.) from Texas Tech University Health Sciences Center in 2014. Currently, she is completing her residency training in Seattle, WA. She worked consistently as a nurse during her medical training process. She has held several leadership positions in nursing including charge nurse and nurse manager positions. She is currently working as a nurse consultant while completing her training. “Nursing is my foundation upon which I am building my medical career. I firmly believe that the nursing perspective in caring for a patient is a different and absolutely critical portion necessary to provide the best care to our ever changing patient population”. Caitlinrae T. Montpetit, RN, BN Caitlinrae T. Montpetit, RN, BN is currently an ER nurse and charge nurse at the Lake City VA Medical Center in, Lake City FL. She has over 13 years' experience in adult critical care and emergency care. She is a graduate of Lake City Community College, the University of Dundee, and is currently pursuing her masters in nursing. Christy Thomas, RN, BSN Christy Thomas, RN, BSN, is a medical/surgical nurse. She has been a nurse for 7 years and is currently pursuing her MSN. Bobbie Morrisett, RN, PICC line certified, is a medical/surgical nurse. She has been a nurse for 7 years and is currently pursuing her BN. Colleen Creamer, RN, is a medical/surgical nurse. She has been a nurse for 10 years and is currently pursuing her BSN. Andrea Paulk, RN, CRNI, PICC line certified, is a medical/surgical nurse. She has been a nurse for 13 years and is currently pursuing her BN. Colleen Symanski-Sanders, RN Colleen Symanski-Sanders, RN has 5 years of home health nursing and 6 years of public health nursing. She has been an educator for 6 years (3 years in home health education). She authors courses for St. Petersburg College and is a Forensic Nurse Specialist. Ms. Symanski-Sanders also has 4 years of management experience. Dana Bartlett, RN, BSN, MA, MA, CSPI Dana Bartlett received her BS in nursing from the Univeristy of Massachusetts in 1976. In 1978, she also recieved a MS in Nursing from Boston University, a MA in Journalism from Temple University in 1988 and is a Certified Specialist in Poison Information. She has over 35 years of ER, ICU and clinical nursing experience. David Tilton RN, BSN David Tilton RN, BSN is the staff educator at Western State Hospital, DSHS, State of WA. He has twenty years of nursing experience in the areas of ICU, CCU, Post Anesthesia Recovery, Sub-Acute, Long Term Care, and Forensics. He has also served as a freelance reader / reviewer for some of the major medical publishing houses, Saunders, Lippincott, Mosby, Harcourt, over the last fifteen years. Earl Bishop, RN, BSN, BA Earl Bishop, RN, BSN, BA. Mr. Bishop earned his baccalaureate degree in Biology from the University of Toledo in 1973. He completed his BSN at the University of South Alabama in 1981 and his Masters of Theology in 1998 at the International Theology Seminary. He is a decorated veteran of the U.S. Air Force Nurse Corps, and has over 20 years of critical care nursing experience. Gina Chiplonia-Swircek, DNP, CRNA Gina Chiplonia-Swircek, DNP, CRNA is a nurse anesthetists practicing in Pennsylvania. She is a co-founder of behavewellness.com, which provides health and wellness training and strategies to decrease and prevent bullying. Kelley Madick MSN/ED, PMHNP Kelley Madick is a Famliy Psychiatric Nurse Practitioner and currently teaches full time for Kaplan University. She received her ADN from the Cleveland Clinic then pursued a combined BSN/MSN at the University of Phoenix where she specialized in Nursing Education. From there she attended the University of Akron and was awarded their first Family Psychiatric NP Certification. She has experience in the hospital setting as well as in the community and in private practice. Linda J. Cowan, PHD, ARNP, FNP-BC, CWS Dr. Cowan is the president and CEO of Wound Healing Services, Inc. and is a Clinical Assistant Professor at the University of Florida College of Nursing. Dr. Cowan has a doctorate in nursing science with a minor in Epidemiology from the University of Florida and a graduate certificate in Public Health. She is board certified as a nurse practitioner in Family Practice and is a certified wound specialist. Dr. Cowan has more than 30 years experience in nursing, the last 10+ years with a focus on wound/ostomy management, research and education. Mary Ryngaert, MSN, PNP-BC, IBCLC Mary Ryngaert, MSN, PNP-BC, IBCLC is a pediatric nurse practitioner and lactation consultant at the University of Florida Center for Breastfeeding and Newborns. Maryam K. Mamou, BSN, RN, CWOCN Maryam is a Registered Nurse with over 20 years of experience in a wide range of clinical areas including spinal cord injury, orthopedics, Home Health Care, and Rehabilitation. She has extensive experience in various aspects of health education, including program and exam development. Mary O’Pray, PhD, RN The author is currently the Clinical Practice Coordinator for Maternal-Child Services at SHANDS at AGH in Gainesville, Florida. Prior to having this position, she taught Maternal and Child Health Nursing, which included teaching selected topics in Childhood Chronic Illness in undergraduate settings. She has also worked as a nurse specialist in an interdisciplinary program with children having chronic respiratory illnesses. Melissa DeCapua, DNP, PMHNP-BCMelissa is a board-certified psychiatric nurse practitioner who graduated from Vanderbilt University and has earned a doctorate degree in nursing practice. She has practiced clinically across psychiatric treatment settings including inpatient, outpatient, and consultation-liaison. Currently, Melissa serves as a Healthcare Advisor for PointNurse, and owns and maintains her own blog, Modern Nurse. Nick Angelis, CRNA, MSNNick Angelis, CRNA, MSN is a nurse anesthetists practicing in Florida. He is a co-founder of behavewellness.com, which provides health and wellness training and strategies to decrease and prevent bullying. Pamela Downey, MSN, ARNP Pamela Downey, MSN, ARNP obtained her BSN at Indiana University and her MSN and ARNP at the University of Colorado. She has 8 years experience as an assistant professor and nursing instructor, 2 years experience as a clinical specialist in critical care and 20 years clinical experience. Pamela Dugle RN, MSN Pamela Dugle currently works as a Nurse Manager for Emergency Services. She has 15 years nursing in the Emergency Department, Intensive Care, Telemetry, and private physician practice. Ms. Dugle is a member of the Emergency Nurses Association, Sigma Theta Tau International, and was inducted into the Phi Theta Kappa Society. She co-authored Staffing and Workforce Management: Is It a Numbers or a Bodies Game? In 101 Global Leadership Lessons for Nurses, a Sigma Theta Tau International book. She has had abstracts accepted for presentation at the VA Collaboration Across the Continuum of Care: Collaboration Across the Continuum of Care: the Role of the clinical Executive in the Chest Pain Unit 2010; Sigma Theta Tau International Conference in Gainesville, Florida in 2008: Culture of Inquiry in Emergency Management and Culture of Inquire in Emergency Severity Index which she co-authored. Ms. Dugle is active in local and national professional committees committed to improving care for the nation's veterans. Patricia Hartley, RNC, MSN Patricia Hartley, RNC, MSN is the Education/Employee Health Coordinator at Lake City Medical Center. She received her Master’s Degree in Perinatal Nursing from Indiana University/Purdue University at Indianapolis. She has 28 years clinical experience to include almost 20 years of Neonatal Intensive Care; complimented by her certification in High Risk Neonatal Nursing and Fetal Monitoring. In addition to her expansive experience in neonatal care, she also has 5 years experience in Staff and Patient Education. Patricia M. Pierce ARNP, PhD, FAAN Patricia M. Pierce ARNP, PhD, FAAN is currently Nurse Educator, Bay Pines Veterans Health Administration. Prior to this position she was the Associate Chief for acute and ambulatory care at the North Florida/South Georgia Veterans health system. Dr. Pierce held faculty positions at Vanderbilt University, the University of Florida, the University of Texas, and the University of Tampa. She has experience teaching both undergraduate and graduate students. In addition to teaching, the author has extensive experience in management and the development of health delivery systems. Patricia Shuman RN, MSN Patricia Shuman RN, MSN received her RN Diploma from St. Vincent's Hospital School of Nursing and her BSN from the University of Florida. In addition she received her MSN from the University of Phoenix. Ms. Shuman has had twenty years of experience in working in Primary care clinics promoting preventive health care and chronic disease maintenance. She also as experience in working in Public Health, diabetes and hypertension education, neurology, emergency room and med-surg. Raymond M. Lengel MSN, FNP-BC, RN Raymond M. Lengel is a certified nurse practitioner who obtained his Master's degree in nursing from Otterbein College in Westerville, Ohio. He has worked as a nurse practitioner in the long-term care setting for the last five years. He also provides primary care at the MinuteClinic in Cleveland, Ohio. In addition to these to roles, he has worked in cardiac and pulmonary rehabilitation, diabetes education, the emergency room and on cardiac step-down units. Robin Richmond, OT/L BS, MA-CTE Robin Richmond, OT/L BS, MA-CTE is an Occupational Therapist with 29 years of experience in a variety of settings, including Rehabilitation, spinal cord injury, school system, Birth to Three programs, traveler, Academic Fieldwork Coordinator and Educator. She currently works in Acute Care at Lakeland Regional Medical Center and as an Online Adjunct Instructor in the Daytona State College OTA program. Sandi Winston, MSN, RN Sandi Winston's primary clinical experience has been in Long Term Care, specializing in Alzheimer's disease. She has more than 20 years of experience in this field. Sandi is currently working as a Unit Manager in an Assisted Living facility. Sandi Winston is a nursing educator with experience in didactic and clinical nursing, and has worked at a community college as a nursing instructor. Sandi obtained her BSN and MSN from the University of Phoenix, and graduated with honors. Sandi is a certified Alzheimer's instructor. She is a member of Sigma Theta Tau International. Shannon Spies, DNP, CRNA, APRN, RYT Shannon Spies, DNP, CRNA, APRN, RYT is a nurse anesthetists practicing in Minnesota. She is a co-founder of behavewellness.com, which provides health and wellness training and strategies to decrease and prevent bullying. Shelly McDonald, MSN, RN Shelley is currently a Nurse Educator at the Doctors Hospital at Renaissance in Edinburg, Texas. She received her BSN in May 2013 from Texas A&M University Health and Science Center and her MSN in December of 2015. Shelly’s areas of nursing expertise include education, newborn nursery, OBGYN, and hemodialysis. Sue Ragsdale MSN, APRN, ACNS-BC Sue Ragsdale, MSN, APRN, ACNS-BC is the Nurse Executive for Education at the Central Arkansas Veterans Healthcare System. She has 30 years of clinical nursing practice primary in adult health, acute care, and outpatient settings; 6 years faculty-teaching appointment; 6 years of staff development experience. I have attended CE workshops on tick-borne illnesses and personally provided nursing care to patients with tularemia, Lymes disease, and RMSF. Susan Tilton, BSB BSMT Susan Tilton BSB BSMT is a medically trained clinical laboratory scientist. She has worked in both commercial and hospital medical laboratories including the stat-lab at a Level 2 Trauma rated facility. In recent years Susan has been absorbed in intensive self study of adjunctive and alternative medical therapies. Susan Wigglesworth, RN BSHA Susan Wigglesworth RN BSHA is the manager of the Endoscopy Center at SHANDS at the University of FL. She has 19 years' experience in critical care (16 years as a charge nurse) and 3 years' experience as a clinical coordinator. Tanya M Drummond, PharmD Tanya M Drummond, PharmD is an inpatient pharmacist with Univeristy of New Mexico Hospital. Dr. Drummond received her PharmD from University of New Mexico School of Pharmacy, and has a BS in Education from Brigham Young University. Tosca R. Moore, RN, BSN Tosca R. Moore, RN, BSN is currently an ER nurse and charge nurse at the Lake City VA Medical Center in, Lake City FL. She has over 18 years' experience in adult critical care and emergency care. She is a graduate of Redlands College of Nursing and is currently pursuing her masters in nursing. Wesley Hunter, RN, PMT Wesley Hunter has worked in healthcare for the last 32 years. He has recently opened STAT Medical Training Solution Corp. and is the CEO of this company. Wesley Graduated Lake City Community College with his degree in Nursing and certificate in Emergency Medical Technician, EMT-Paramedic. Wesley currently works in the acute care hospital setting as a Charge Nurse in the Intensive Care Unit. He serves as a unit leader, unit preceptor and safety coach. Wesley maintains a competency in ultra sound guided PICC line placement. He as completed training for PICC line placement from Shands UF in 1996 and has continued training in advanced vascular access from BARD and AngioDynamics.